Variations - LFBGA (Low-Profile Fine-Pitch), TFBGA (Thin & Fine-Pitch), W-BGA (Window-Type), FC-BGA (Flip Chip), VFBGA (Very Fine-Pitch), POP (Package-on-Package), SIP (System-in-Package), SD (Secure Digital) & Micro SD Card, CBGA (Ceramic), PBGA (Plastic), UFBG (Ultra-Fine), MBGA (Micro). Common Materials - FR4 and epoxy mold compound. Variations - HVQFN (Heatsink Very-Thin), MLF (MicroLeadFrame), FUSION QUAD® (VQFP: Very Thin Quad Flat Package), HQFN (High Power). Common Materials - C194 and epoxy mold compound. Variations - Chip LED, High Power LED. Common Materials - Copper, HTCC (High Temperature Co-fired Ceramics), LTCC (Low Temperature Co-fired Ceramics). Variations - CIS (CMOS Image Sensor) Glass Lid, CIS (CMOS Image Sensor) Substrate. Common Materials - Borosilicate Glass, HTCC (High Temperature Co-fired Ceramics). Variations - SAW (Surface Acoustic Wave) Filter devices, Beam Splitters, Passive Components. Common Material: AlTic (Aluminum Titanium Carbon), Ferrite Ceramic. Common Material: Silicon, LiNbO3 (Lithium Niobate). 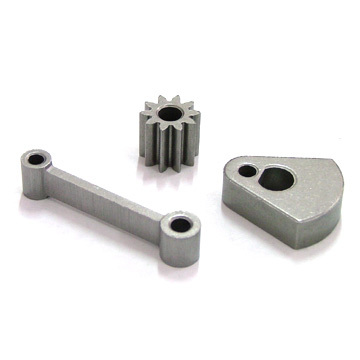 Gears, bearings, sprockets, oil pump gears, clutch plates, cams, rotors, stators, brake discs, coupling plates, valve plates, wear plates, seals, clutches, connecting rods, door locks and hardware, window hardware, components for washer, dryer and refrigerators. 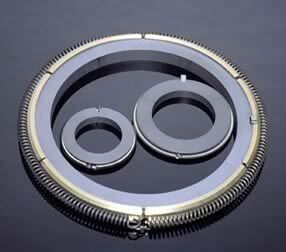 Pump and valve seal rings. 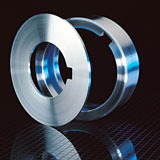 Materials include ceramics, cermets, tungsten carbides and heat-treated steels. 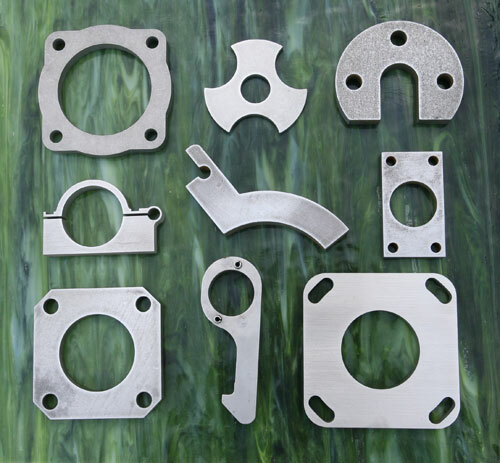 Stamped metal components (various metal grades) such as: End plates, exhaust flanges, clutch plates, electric window mechanisms, medical devices, surgical medical blades, surgical scissors and knives, gear and cam components, compressor vanes, slip rings used in electric motors. 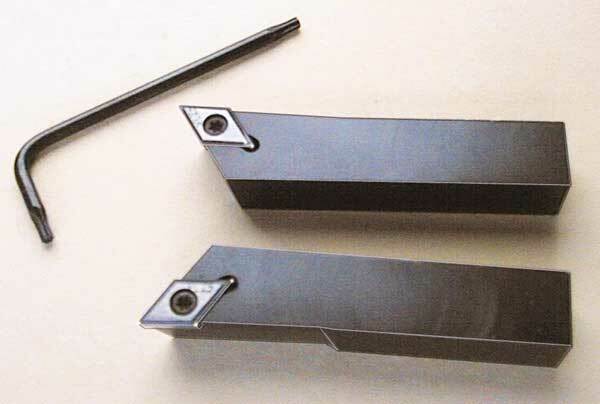 Precision tungsten carbide & ceramic inserts used in milling cutters, thread mills, gear hobs, rotary turning holders, and drill bits.